We have a new type of tweet chat that we’ll be added to our schedule – New App Intros! We know it is a huge feat to get published on Apps.com and we want to provide a space for you to show off your App! We are inviting the App community to join our New App Intro chats to introduce themselves to our community. 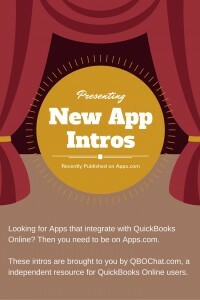 The QuickBooks Online user community wants to learn more about the new Apps that have been published by Intuit on Apps.com. All Apps are invited to join in. Use the hashtag #QBOchat on all of your tweets so we can see your tweets during the chat and be included in the transcript that is posted later (along with a recap blog post). Engage in our conversation. There will be 8 questions presented during the chat. Answer those questions, talk to other participants, answer questions, and just engage with everyone. We are looking forward to hearing more from the new Apps that have been published on Apps.com. — Even if you have been listed sometime within the last 6 months, you are invited to join us! Here are the 8 questions that will go out during the chat – just so you can be prepared. What is the pricing for your App? Have a question? Just leave a comment below. 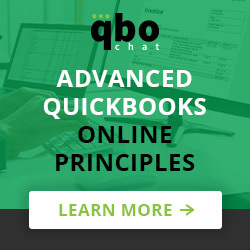 What is the easiest way to access the chat and keep track of everything with #QBOchat? 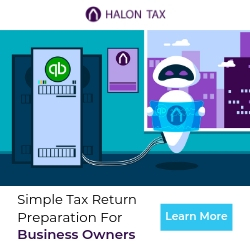 Will it be on the main twitter page of QuickBooks apps? Basically, you just follow the #QBOchat hashtag on twitter and to be included in the feed, you have to make sure to include the hashtag in your tweet. There are different platforms that make it easier to follow along than just searching twitter. Those are listed in the link. But, some days the technology doesn’t work for us, so that is why we provide several options. Most of us use Nurph.com. Great – I am getting up at 5am to be on the call because I am based in Melbourne. I just published an app on the API to help SMEs learn HOW to boost their cash flow. I would love to hear what QBO users have to say about what would be of value to them and make their lives easier. Awesome to hear!! Please feel free to share the link to your App here. I am excited to hear more today! http://tinyurl.com/zyasodl Thanks for the chat today.